We're heading to San Francisco for Informatica World 2016 on May 23-26! Tableau's CEO, Christian Chabot will be speaking alongside, Informatica's CEO, Anil Chakravarthy, on the mainstage. It's a keynote you won't want to miss. Two years ago, Siemens PLM Software embarked on a dangerous but important mission – build an Enterprise Reporting system that would change the reporting culture from “death by Excel” to Analytics and Visualization. By utilizing the strengths inherit in Informatica and Tableau, Siemens PLM Software found the “sweet spot” in Enterprise Reporting - where the business can “play” reporting in a sandbox (without hurting anyone) while IT provides infrastructure, governance, “Certified” data sources, training and support. 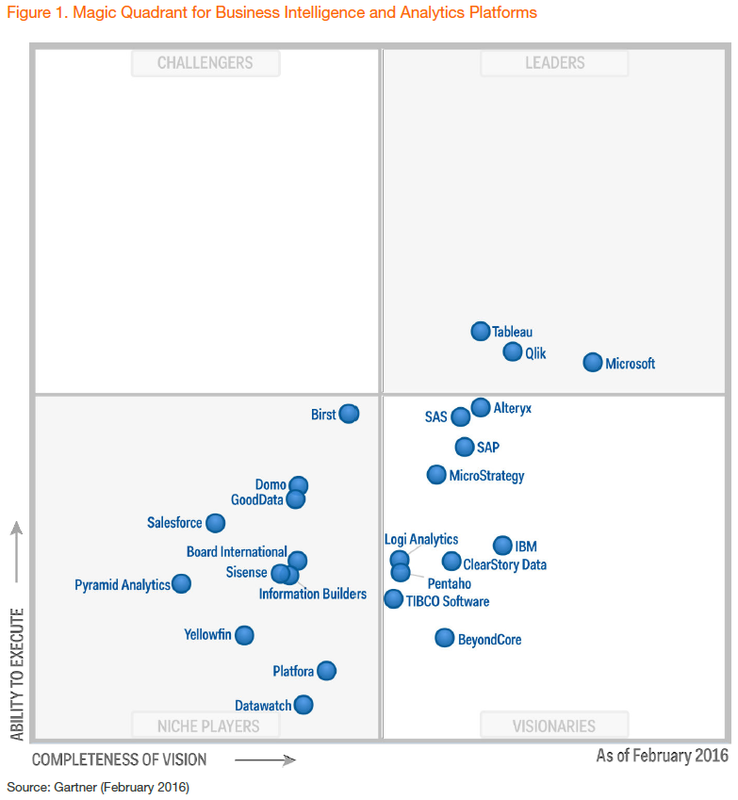 Tableau continues as a leader in the Magic Quadrant for Business Intelligence and Analytics Platforms.